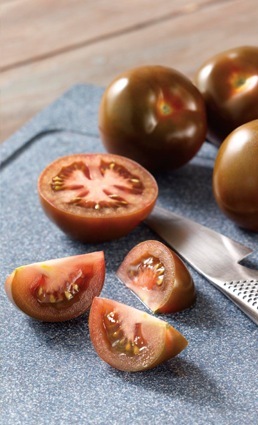 When nature gives us its real best with a tomato like Kumato®, probably the best way to taste its unique flavour is to serve it "au naturel", with a simple, fresh, healthy salad. Kumato® will make any salad taste superbly, just use your imagination. Here are just some pictures of what our chefs have created, as a source of inspiration.